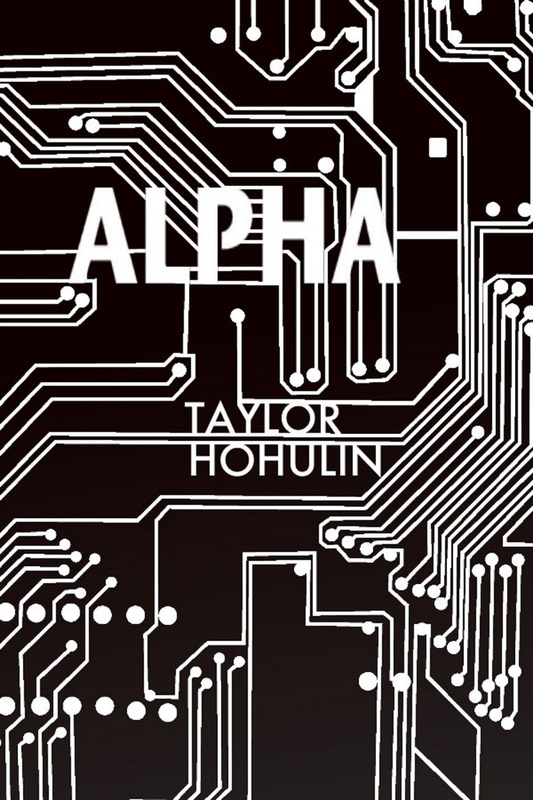 Alpha is the world’s first robotic soldier, but he would rather woo his mechanic than wage war. This probably has something to do with his human heart, given to him in hopes that it would prevent him from enslaving the entire human race. Once the greatest soldier the Planet Earth Military Forces had seen, Meat can’t help but think this new age of robotic soldiers will leave people like him in the dust. Forced into retirement, he has nothing left to do but stew in his bitterness toward the organization he once loved. Lucas Sharpe wishes he’d managed to work his way to CEO of the Planet Earth Military Forces before its leaders traded their plasma rifles for stacks of paperwork. Now he’s just bored. Alpha is having enough trouble winning his mechanic’s heart - as it turns out, robots aren't her type - but when Meat begins to stalk Alpha’s inventor, Lucas sees a chance to return to action, even if it means breaking a few rules. Unfortunately, Lucas’s involvement only makes Meat angrier, and before long, the ex-soldier’s obsession escalates into all-out suburban warfare. Everything Alpha loves is threatened, and it becomes clear he will have to fight. And he would fight - he really would - if not for an unfortunate, deadly malfunction that should come as no surprise to anyone who knows his inventor is the worst Military scientist of all time. Chris smiled as he spoke. It was a dazzling smile, and as Lucas Sharpe watched from his seat next to him, he had to admit he was impressed. As Hiring Manager for the Planet Earth Military Custodial Services, Chris did a lot smiling, but every grin and every smirk was as big and bright as this one, even when he was faking. And right now, he was definitely faking. The applicant took a seat across the table from Chris and Lucas. “You may call me Tom Smith. It is my Earth name,” he said without even attempting to return Chris’s smile. Smith had clearly grown up on one of the Venus settlements, judging from his thick accent. Lucas leaned back in his chair, barely stifling a yawn. The Venusians weren’t even trying anymore. They knew the Military knew what they were up to, but that didn’t stop them from wasting Lucas’s time. Smith responded, but Lucas had already tuned him out. Just once, he’d like to skip one of these interviews. It was a custodial job, for crying out loud, and he was CEO of the Planet Earth Military Forces. This was not what he’d dreamed of when he fantasized about working his way up the Military totem pole. For starters, he’d at least hoped to earn a title like “General” or “Supreme Commander,” but Generals and Supreme Commanders hadn’t been a part of the Military since he was in high school. Things had changed, and fast. Soldiers were still soldiers, but Earth’s military leaders spent more time filling out paperwork and going to office parties than anything else these days. It was enough to make Lucas wish he were back on the bottom of the totem pole. Lucas shook his head, forcing himself to pay attention. Chris was asking the man across the table where he saw himself in five years. Smith was oddly jumpy for a guy applying to be a janitor. Guys like Smith always were, and Lucas was sick of it. Taylor is a DJ at a Christian rock radio station in Dallas, Texas. He lives in Arlington with his wife, two cats, and a dog. He is the least attractive member of his household. Alpha is his first novel.